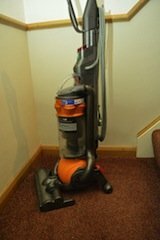 House Clearance Service In Long Eaton Erewash Sawley Wilsthorpe Sandiacre Risley. As well as clearing the usual furniture these small items will also need clearing – A rectangular Laura Ashley floral embroidered scatter cushion, A pair of brass palm tree candlestick holders, A brand new white Kenwood HM520 hand mixer, A black and red Andrew James power juicer, A brand new Morphy Richards 48822 stainless steel soup maker, A Makita charger 240v, A vintage Smith 5 hour kitchen timer. 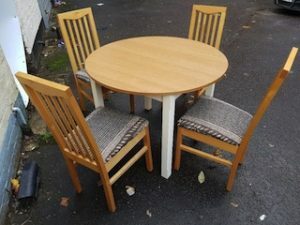 A modern solid wood circular dining table, together with four high back dining chairs, upholstered to the seats with patterned fabric. 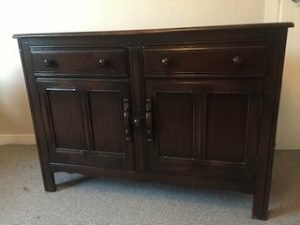 A small vintage solid wood sideboard, having two drawers above two single cupboards, with shelving inside. 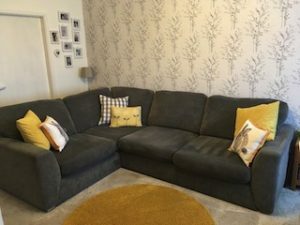 A four seater high back corner sofa on chrome feet, upholstered in grey velour. 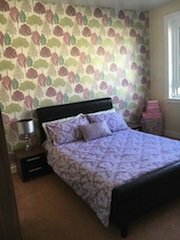 A black faux leather upholstered double bed frame on oak legs, together with a white double mattress. 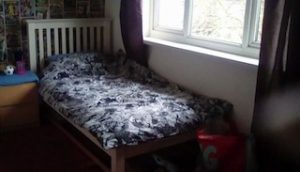 A white solid wood Ikea single bed frame, together with a Dreams memory foam single mattress. 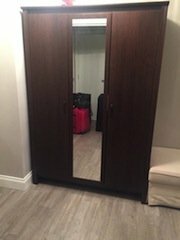 A tall standing dark solid wood mirror inlaid triple wardrobe, with shelving inside. 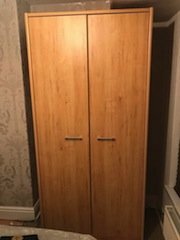 A tall standing solid oak double wardrobe with chrome handles. A black Sharp 42 inch flat screen LCD television. 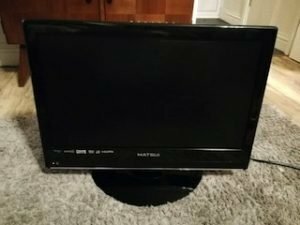 A black Matsui 19 inch flat screen smart television, with built in DVD player. 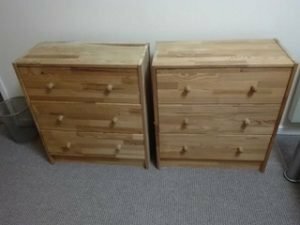 A pair of modern Ikea beechwood bedroom chests of drawers. 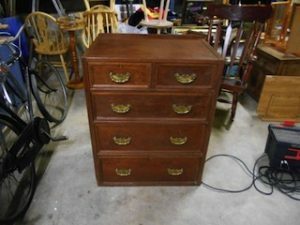 A small vintage solid wood chest of drawers, having two small over three large drawers, with brass handles. 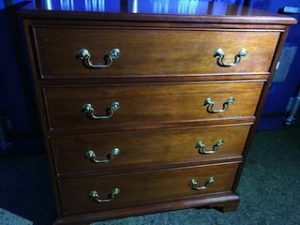 A large vintage solid wood bedroom chest of drawers, each having two chrome handles. 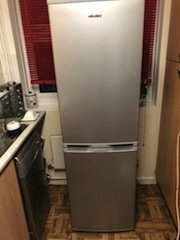 A tall standing silver Bush two door fridge freezer. 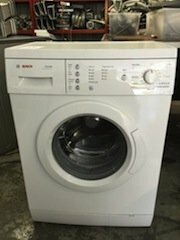 A white Bosch 1200 spin 7kg under counter washing machine. 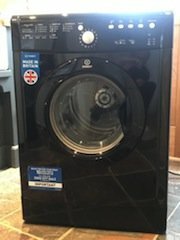 A black Indesit 7kg under counter condenser tumble dryer.